The Sachsenderby between Erzgebirge Aue and Dynamo Dresden is the match of the Monday night Topspiel in Bundesliga 2 on matchday. 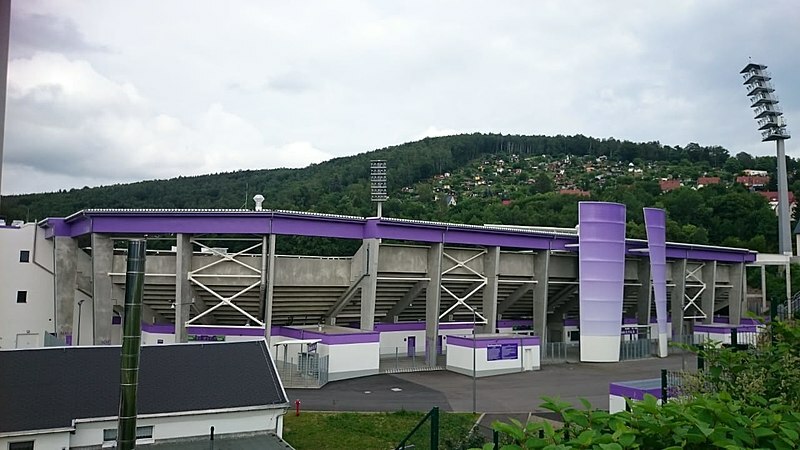 It is a game that dates back to the times of East German football in which Erzgebirge Aue was still known as Betriebsportgemeinschaft (BSG) Wismut Aue and was part of the uranium mining collective that was a major part of the region. Back in the German Democratic Republic Wismut won the East German championship on three occasions (although officially as Wismut Karl-Marx-Stadt) in 1956, 1957 and 1959 and reached the quarterfinals of the European Cup where they were eliminated by Petrolul Ploiești. After the fall of the GDR, the team was renamed Erzgebirge Aue, as the club bosses wanted to represent the entire region, not just Aue. Nowadays the club is a club on the cusp between Bundesliga 2 and Liga 3. Well run by the Leonhardt brothers Erzgebirge were, in fact, a shining example of a professionally run club in a region of Germany where many clubs struggled after the fall of communism. At the same time, relegation is always a worry and against their regional rivals Dynamo Dresden this will be a big point match. On 32 points and in 13th-place — with one game less than the rest of the league — a win could catapult Aue out of the relegation zone. Daniel Meyer will, however, have to play this match without defensive specialists Dennis Kempe and Steve Breitkreutz. Aue’s loss is Dynamo Dresden’s gain. Dynamo’s 1-1 draw against rivals Magdeburg keeps the eight-time GDR champions five points clear of the relegation zone. Dynamo Dresden, in fact, for many years were the biggest club in former East Germany until the establishment of Dynamo Berlin in 1966. After the fall, of communism financial mismanagement meant that Dynamo Dresden struggled with professional football in Germany and spent many years in the third division. Currently, in a rebuild with signs of stabilisation Dresden are a sleeping giant that slowly seems to be awakening from its slumber. 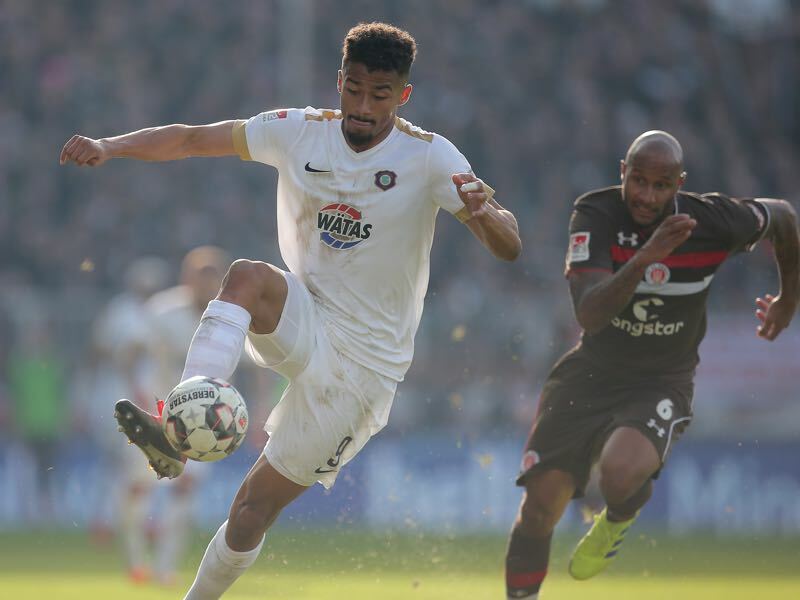 At the same time, the patient is still threatened to suffer a relapse, and Dresden needs the points quickly to get itself out of the relegation dropzone. Hence, the game between Erzgebirge and Dynamo on Monday will have all the ingredients for a big match. Derby atmosphere, history and relegation battle points on the line. Make sure to tune in! Germany U-21 national team player Emmanuel Iyoha is a rare breed in the country’s youth development setup. The 21-year-old is a tall old school striker. It is his physical abilities that make him an interesting prospect. Unfortunately, Iyoha has struggled a bit this season to turn his physical abilities into scoring goals regularly for Aue. 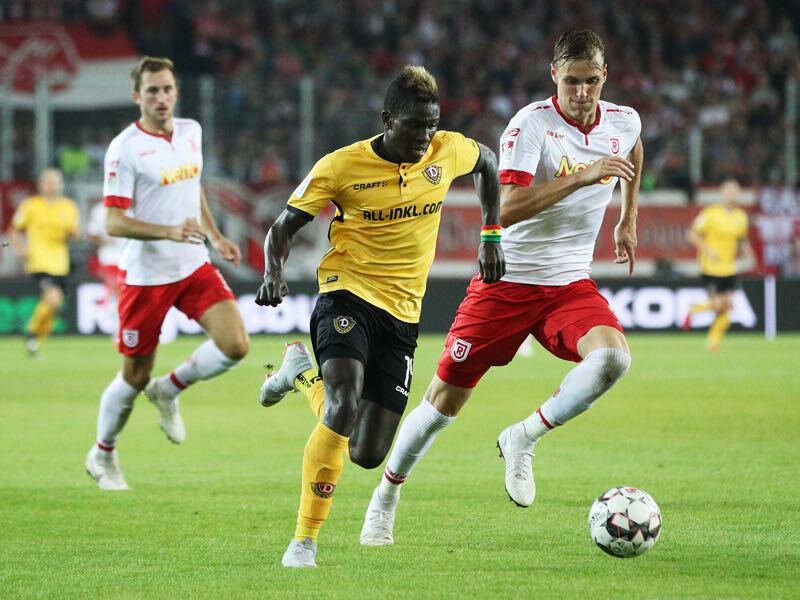 Three goals and six assists in 22 Bundesliga minutes leave room for improvement, nonetheless, Iyoha will take some confidence for being on the pitch for 31 minutes in Germany’s U-21 victory over England last week. Moussa Koné has been outstanding this season and, as a result, has found himself in the notebooks over several clubs around Europe. Girondins Bordeaux are interested, but according to the German newspaper Bild, at least €6 million will be necessary for Dresden to consider a transfer. It would be a benchmark transfer for the club that would solve many of the financial problems. At the same time, Koné’s nine goals and six assists in 23 games this season would be hard to replace. 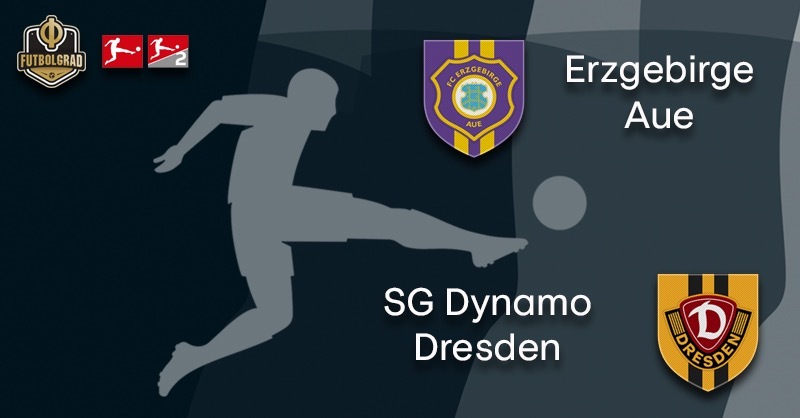 Erzgebirge Aue’s record against Dynamo Dresden: W18 D20 L23. While Aue have a losing record overall against Dynamo Dresden their home record against their rivals in Bundesliga 2 is positive: W4 D2 L1. Dynamo Dresden’s top scorer list against Erzgebirge Aue reads like the who’s who of East German football. Top scorer in this matchup is Ralf Minge (12 goals) followed by Ulf Kirsten and Torsten Gütschow (7 goals) and rounded up by Hans-Jürgen “Dixie” Dörner (6 goals).